The Island of Hawaii is the perfect spot for adventure tourism and exciting island excursions. It’s home to lush jungles, rivers, volcanos and miles of beautiful coastline. From caving to biking, hiking to ATV-riding, this island has it all. This Kilauea Volcano tour has a late morning start time and offers volcano viewing at sunset. You’ll visit “must see” places in the park while you learn about their geological and historic significance. Starting from Kona, you’ll travel up the coast over desolate lava flows before hitting the rolling pasturelands on the flanks of Mauna Kea. Turning onto the Saddle Road that traverses the island between Mauna Loa and Mauna Kea, you’ll see a dramatic and diverse landscape of ranchland, sub alpine dry forest and rainforest, with striking features like cinder cones, lava flows, lava tubes and kipukas. You’ll stop for a short break and deli lunch. Then, you will drop down to near sea-level on the way through Hilo where you begin the final climb to the summit of Kilauea and the lush entrance to Hawaii Volcanoes National Park. After exploring Volcanoes National Park, you’ll head down the “Red Road”, weaving in and out of the rainforest and stopping at overlooks to see the Pacific Ocean. 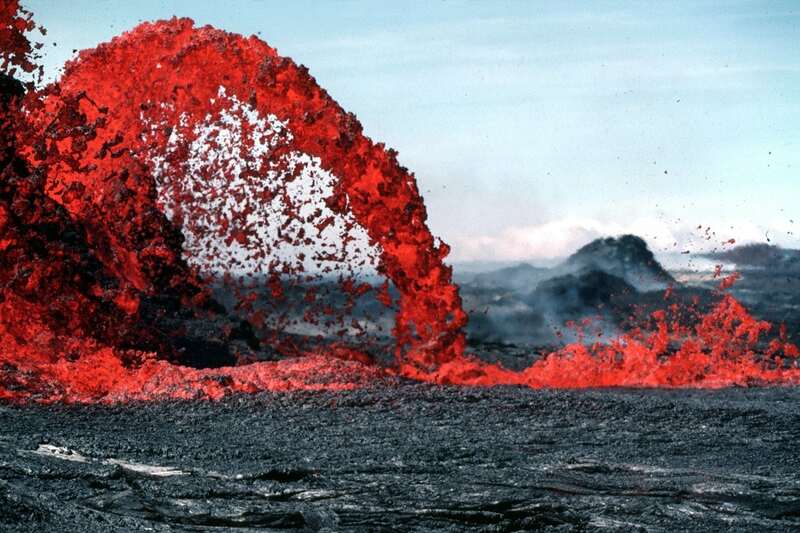 Then, you’ll hike to both the active lava flow front, and ocean lava entry. You’ll see lava in motion as it descends down to the sea – this is especially beautiful at sunset. The hike is the shortest distance to and from the active flows anywhere on the island at 3.5 miles round trip. VBT offers guided bicycle tours of Hawaii Volcanoes National Park and Kilauea Volcano’s east rift zone and active lava flow. It’s a full-service experience complete with a van driver and tour leader. Don’t miss your opportunity to bike down an active volcano! These tours are easy riding – mostly downhill and leveled terrain. All equipment is provided and lunch/dinner, snacks and beverages are included. Explore Waipi’o Valley (Valley of the Kings) by guided ATV tour with Ride the RIm. These 3-hour tours pass through eucalyptus and ginger forests through former sacred royal lands. The scenery is breathtaking and the views are unforgettable. You’ll swim in the headwaters of Hiilawe, see the back side of the Parker Ranch lands, and go to the top of Waipi’o Valley. Light refreshments are provided. Kilauea Hospitality Group offers packages and tours for adventurers of all kinds. For more information, visit our Specials Offers and Activities pages or contact us.